Shalom. Our teaching this morning will be from Exodus 9.1-7. (Matthew 27.11) You have said. Thus the word Hebrew could also mean “on the other side” of the Euphrates River where GOD’s boundaries for the land of Israel are. (Genesis 10.21) A more understandable reading would be, Unto Shem, also the forefather or ancestor of all the descendants of Eber, and the older brother of Japheth. Eber in Hebrew is AY VEHR, which means a region across, or on the other side. Thus the Jewish people were first called Hebrews when GOD took Abraham out of the Gentiles. Then many years later the Hebrews are called Jewish, or Jews. Here’s a little history. 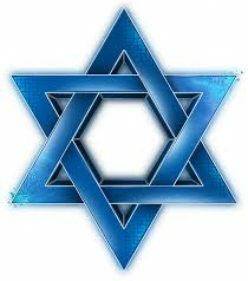 YEH HOO DEE in Hebrew for Jewish or Jew DOES NOT refer to a member of the tribe of Judah but to all the children of Israel. Mordecai was from the tribe of Benjamin. This was the beginning of the use of the term Jewish or Jew for all the children of Israel. The word YEH HOO DEE or Jew has an interesting meaning. Jew means praiser of GOD. One who celebrates and worships GOD. Yehoodi or Jew comes from the Hebrew word YEH HOO DAH meaning Judah. Judah means celebrate and praise. Yehoodah or Judah comes from the Hebrew word Yah dah which means to hold out the hand, to revere, or worship with extended hands, and to confess and praise. Thus Jew or Jewish means a praiser of GOD, one who worships GOD, reveres Him, celebrates Him, and praises Him and confesses to Him, and is thankful for Him. EXODUS 9.6-7 While GOD was raining wonders and plagues upon Egypt, The LORD protected His people the children of Israel from all those plagues. And The LORD our GOD always protects His special people, you and me from all evil. GOD is pure Spirit. He fills Heaven and earth. He sees and knows everything. STRONG – KHAHZAK – strong, powerful, GOD strengthens us, cures us, helps us, and heals us. In the behalf of them whose heart is perfect. BEHALF in Hebrew is EEM Meaning – For all. So what is a perfect heart toward GOD? This is how The Bible explains a perfect heart toward GOD. One who walks with GOD, obeys Him, Obeys His every Word, His commandments, His Law of Moses, and does them. Then The LORD GOD Almighty will show Himself strong for all whose heart is perfect toward Him. GENESIS 6.9 – JUST – STAH DEEK – law-abiding, obedient to GOD’s Laws. 1 KINGS 8.60-61 His statues – His Law, i.e. His Law of Moses, His set times, that is His Festivals of Leviticus 23. PSALM 37.37 UPRIGHT – YAH SHAHR – law-abiding, obedient to GOD’s Word, His commandments and Law of Moses. JAMES 1.25 The perfect law of liberty is The Law of Moses. It is perfect because it’s GOD’s Law, and the Law of Liberty, God’s Law of Moses, is the Truth, and it frees us from sin and death. Also believing in Yeshua The Messiah is taught in the Perfect Law of Liberty. And those who do GOD’s Law of Moses will be blessed in His deed, that is in everything you do. And the rewards, GOD will always help you, and heal you, and He will show you His mighty strength in the time of trouble, and deliver you and bless you in everything you do, for those whose heart is perfect toward The LORD, and is a doer of the work of the Perfect Law of Liberty, GOD’s Law of Moses. GOD’s Word is filled with promises of protection to those who keep His covenant and His testamonies, to those who keep His every Word and His Law. PSALM 34.7 ENCAMP – KHAH NAH – the Angel of The LORD pitches a tent around us to protect us. To them that fear Him. The word fear in Hebrew is YAH RAY meaning, to be afraid of GOD, frightened of GOD. And when we fear GOD, it becomes very easy to obey GOD, every Word He speaks. Then He will deliver you, always. (Daniel 6.23) The word believe as in Daniel believed in His GOD, means not only believing in GOD, but obeying Him, and trusting The LORD YOUR GOD. LUKE 21.5-19 VERSE 19 In your patience you possess your souls. You take control of your life in a GODLY manner when you exercise patience knowing GOD works all things for good to them that love GOD, to them that are the called, according to GOD’s purpose. Romans 8.28. So again, GOD promises to protect you, and deliver you when you fear Him, and obey Him. GOD delivers those who consider the poor, and He blesses you, and delivers you from all danger. And when you exercise patience, because you trust in The LORD for all things, you take control of your life in a GODLY fashion. to GOD, and do what He says, will dwell safely, and have peace from fear. The best place to know what GOD requires of you, to be loved by The LORD and to be exceedingly blessed by The LORD is by reading The Bible from Genesis through Revelation, and doing what He says. PROVERBS 1.33 HEARKEN – SHMA – listen to GOD, hear GOD, and do what He says. DEUTERONOMY 7.12-15 GOD’s love, and mercy, and His blessings are CONDITIONAL. It is conditional upon us by The LORD GOD to obey Him, His Word, His Law of Moses, His commandments, and do them. Then GOD will love you, and bless you mightily when you do what He says. ISAIAH 43.1-7 VERSE 7 – Everyone that is called by My Name, meaning everyone called out by GOD to be His. I have created him, her for My glory, My honor. I have formed him, her in every way. Yes, GOD has made us, you and me. FORMED – YAH STAH – GOD has formed and moulded us into our shape and form as a potter shapes a piece of pottery. GOD has fashioned us, even our frame, and our mind for His purpose, and has determined who we are. We, and all creation were predestined and predetermined before the creation by GOD The Creator for His purpose. Yes, GOD says I have made him, her. The word made in Hebrew is AH SAH – meaning, GOD MADE us, He APPOINTED us, He PREPARED us to SERVE Him, to be a WORKMAN for His USE, to YIELD to Him, that is, complying, agreeing, and humbly being obedient to Him without resistance. GOD has made us for all those things. I would say that’s a pretty good deal. GOD has made us to be His servants. And here’s the mightiest of blessings. When we do the will of GOD with a perfect heart toward Him. So in conclusion, GOD’s love for us, His mercy and His blessings are conditional. Conditional because GOD requires everyone to obey Him, to yield to Him without resistance, to obey His every Word, His commandments and His Law of Moses which includes keeping His Saturday Sabbath on the 7th day of the week, and all His Sabbaths, and all His Festivals found in Leviticus 23. And His food laws written in Leviticus 11 and Deuteronomy 14, and everything else The LORD your GOD requires you to do. And GOD will protect you from all evil and every curse. He will show Himself strong to heal you and strengthen you, and deliver you in the time of trouble. And He will bless you because you are considerate to the poor. And He will protect you forever because you are called by His Name. He will love you, and bless you, and be merciful to you forever, because The LORD has called you to be His to serve Him, and to spend eternity with Him in His likeness. Shalom. Our teaching this morning will be from Exodus 8.20-32. EXODUS 8.26 I believe Moses means that the animals Israel sacrificed to The LORD such as sheep and oxen were animals the Egyptians prayed to and worshipped. Thus the sacrifice of those animals in the land of Egypt would be an abomination and an offence to the Egyptian people. Now the Egyptians and their Pharaohs were brutal to the children of Israel. The Egyptians made the Jewish people slaves and wore them down under heavy burdens building their cities for 400 years. To give you an idea how long 400 years of slavery are, the United States declared its independence from the British on July 4, 1776, 236 years ago. The Jewish people were slaves in Egypt for 400 years. Yet, listen to what The LORD GOD of Israel says about Egypt. Blessed be Egypt My People. Blessed be Egypt My People in Hebrew is BAH ROOKH AMI MEETS RAH YEEM. How can that be? VERSE 24 In that day in Hebrew is BAH YOM HA HOO, and usually means, In that day The LORD returns, and sets up His Messianic Kingdom in Israel for 1,000 years. Egypt, Assyria, and Israel will be equal before GOD The LORD, and they will be blessed by The LORD. How can that be? Both Egypt and Assyria were vicious and heartless toward Israel. And add to that Egypt worshipped hundreds, if not thousands of false and off-the-wall gods, local gods up and down the land of Egypt. And later, those false gods were adopted by so-called mystery religions of Rome and Greece. Sun gods, the falcon god, god of the empire, a cow goddess, a god of wisdom and writing, groups of three gods, and groups of nine gods, a moon god, a hidden god, a war god, and a state god, a goddess of joy. All abominations to The LORD GOD of Israel. There were cosmic or cosmos gods of the world and universe, and outer space. A sky goddess, gods of the air, earth, and waters. There was a god of vegetation linking it with the annual rise of the Nile, and the rebirth of life. Doesn’t rebirth of life mean a new or second birth, a renewed existence? oris was that god, and he was the god who killed Egyptian aspirations, their desires and hope. The golden calf thing the children of Israel made in the desert was a relic of Egypt. And all this on top of 400 years of forced Jewish slavery in the land of Egypt. The One GOD of Creation calls Egypt the iron furnace. Jeremiah 11.4. Yet The LORD GOD of Israel says, blessed be Egypt My People. Why? Then there’s Assyria whom GOD says in Isaiah 19.25, Blessed be Assyria, the work of My Hands. And they’re no walk in the park either when it comes to Israel. The Assyrian empire in its heyday around 700 B.C.E./B.C. included countries we know today as Egypt, Israel, Jordan, Lebanon, Syria, Iraq, the southern part of Turkey, including the island of Cyprus, and a strip of Iran from Turkey down to the Persian Gulf. Almost the entire Middle East. The Assyrians in 722 B.C.E./B.C. captured and exiled the Jews of northern Israel, killing upwards of 1,000,000. Then they, the Assyrians brought their own people from their own lands to occupy northern Israel. These are the Samaritans. Yet it was The LORD GOD of Israel Who moved Assyria to capture and exile northern Israel because of their sins against The LORD their GOD. And Israel, whom GOD says is My inheritance; Blessed be Egypt My people, The LORD says, and Assyria the work of My Hands, and Israel My inheritance, My very own people. But yet, GOD compares Jerusalem, and probably all Israel with Sodom and Egypt. Not a wonderful comparison. During the 3 1/2 year tribulation before The LORD returns, the devil will ascend out of the bottomless pit and make war against GOD’s two witnesses and kill them. But here GOD compares Jerusalem with Sodom and Egypt. GOD calls Jerusalem, and probably all Israel, spiritually Sodom and Egypt. Spiritually, concerning GOD, The LORD likens Jerusalem to Sodom and Egypt. Not a very good comparison. GOD is calling Jerusalem evil. I know of at least two evils in Israel today. A homosexual community that sponsors an annual gay parade in Jerusalem, and certain Jewish people in Israel that reject their Messiah, The Jewish Messiah Yeshua. And they reject those Messianic Jews who believe in Messiah Yeshua to be their GOD and Messiah according to the teaching of the T’Nakh, The Old Testament. Isaiah 9.6 (5), Micah 5.2(1). Other sins of Israel, GOD knows. But GOD calls Israel My inheritance, My very own people. But how can this be, that GOD would call Egypt and Assyria, people who were wicked and savage to His people, blessed? Egypt My people, and Assyria the work of My Hands? Some might say because Egypt treated Joseph well when Pharaoh made him governor of the land, and allowed the children of Israel to dwell in Egypt saving them from a great famine. And Assyria, the only good thing I can think of was that Abraham was born in Ur of the Chaldees which would be in today’s Iraq down near the Persian Gulf. Ur of the Chaldees may have been part of the Assyrian empire 4,000 years ago when Abraham was born. But how can a righteous GOD Who hates wickedness bless a people, even a remnant of people from Egypt and Assyria who were wicked towards His Own People? And even Israel whom GOD compares to Sodom and Egypt? And save a remnant of those people, and make them all equal in the eyes of The LORD GOD of Israel, and bring that remnant of people into the Messianic Kingdom and eternal life in Heaven with GOD, The Holy Messiah of Israel? The word Serve as in, Thus saith The LORD, Let My people go, that they may Serve Me, comes from the Hebrew word AH VAHD – which means to work. Serving GOD takes work. Obeying GOD requires work. Yes, we are saved by grace through faith. Faith means believeing in The LORD, and faith must include obedience to GOD. Being saved is a gift of GOD, but then GOD requires us to serve Him by obeying Him, His Words, His Commandments, His Law of Moses, His Sabbath on Saturday, the 7th day of the week, His food laws, His Festivals, and everything else The LORD requires us to do. Then we become His servants. The proof of knowing GOD The Messiah, and loving Him, and having a relationship with Him is by obeying Him. That is the foundational teaching of The Bible. See the book of 1 JOHN. VERSE 13 One like the Son of Man is Yeshua The Messiah. He will look like a man, a human being when He returns, but He will be fully GOD, and not a man. But He will look very much like a man. He came with the clouds of Heaven, and came to the Ancient of Days, and they brought Him near before Him. The Ancient of Days is GOD. One like The Son of Man, Yeshua, is GOD. This is a picture of the One GOD Who is both Messiah and The Everlasting Father. Yet there is only One GOD. Let’s clear this up before we move on. When GOD appeared to Abraham and others, looking like a man, that was Yeshua. GOD Who is all Spirit, still filled Heaven and earth. GENESIS 17.1, GENESIS 18.1, EXODUS 33.11, 1 JOHN 5.20, The LORD GOD is Yeshua The Messiah. Though there is but One GOD Who is The Father, The Son, and The Holy Spirit, they do speak to each other. DANIEL 7.14 This is proof positive that GOD will save a remnant of people from every nation, and every language. Even from those nations that persecuted Jewish people as did Egypt, Assyria, which would include most Middle Eastern Arab countries; also Germany, France, England, Austria, Poland, Spain, Portugal, Italy, Czechoslavakia, the Papal states, the domain the Popes in central Italy, and Russia, and others who have persecuted Israel and the Jewish People. GOD will save a remnant of people from all nations and languages, because GOD’s mercy endures forever. There was given The Messiah dominion and glory – that is power and rule, glory and honor. And a Kingdom. That Kingdom is all the earth and Heaven where Messiah will reign as King forever. His dominion is an everlasting dominion, which will not pass away, and His Kingdom that will never be destroyed. And we will serve Him. And yes, the Egyptian and the Assyrian in the day of the LORD’s return will be at peace, and they too will serve The LORD their GOD, The GOD of Israel. The LORD will strike down Egypt, and then heal it at His return. They will return to The LORD and repent. The highway, I believe means, the Egyptians and the Assyrians will be at peace, and together they will serve The LORD in The Millennium, and throughout eternity. It’s important to know what it means to repent. Repentance is believing in Yeshua The Messiah, and then turning from all your sins. Sin is breaking the Law of Moses, see 1 John 3.4. And that is accomplished by turning your life to The LORD GOD and obeying every Word He speaks. Before we close, The LORD GOD says of Egypt, Blessed be Egypt My people, and Assyria the work of My Hands, and Israel My inheritance. All humanity is GOD’s people. And all humanity is the work of GOD’s Hands. Israel is GOD’s inheritance. (Zechariah 12.1) FORMS YAH STAHR – Squeezes us into shape, and shapes us like a potter. The key to this teaching of GOD blessing Egypt, Assyria and Israel is that GOD’s mercy endures forever to those who serve GOD and obey Him. We are all GOD’s people, and all humanity is the work of GOD’s Hands. And all whom The LORD calls, who join in with Israel, not necessarily becoming Jewish, but serving The LORD GOD, and obeying His Commandments and Laws He gave to Israel, you are GOD’s inheritance, His own very special people. As Exodus 8.20 reads, Thus saith The LORD, let My people go that they may serve Me, that’s our special calling, to serve The LORD GOD, AND OBEY HIM, and to spend eternity with The KING OF KINGS, and LORD of LORDS forever in Heaven. And The LORD will save a remnant of people from every nation and language who serve Him. EXODUS 8.16 The dust throughout Egypt became lice. Dust in Hebrew is AH FAHR also meaning earth. Thus all the earth in Egypt was turned to lice. Lice in Hebrew is KEE NEEM – The lice were gnats that sting. They were like mosquitos or flies, or some other insect that stings. They entered into the eyes, and ears, and nose of people and animals, and sucked their blood, and carried a number of diseases. So GOD brought ten awful plagues upon Egypt that caused immense grief to the Egyptians and all their land. But the children of Israel, perhaps 3,000,000 in all, were untouched, though they experienced massive hardship under the hand of the Egyptians for 400 years. They were slaves, and the Egyptians were their slavemasters. But GOD brought His powerful plagues upon Egypt, and after the ten plagues, the mighty Hand of GOD moved Pharaoh to let His people go. So GOD first turned the Egyptian waters into blood. Then He covered the entire land of Egypt with frogs. After that, The LORD turned the dust of Egypt into lice, maddening every Egyptian and their animals. Then GOD sent a dreadful plague of death upon the Egyptian horses, and donkeys, and camels, and oxen, and upon their sheep. Then The LORD GOD sent a plague of boils and inflammatory sores upon every Egyptian, followed by hail and fire that covered the land of Egypt. Fire ran along the ground. And The LORD rained hail upon the land of Egypt. There was none like it in all the land of Egypt, The Bible says, since Egypt became a nation. Exodus 9.24. And The LORD said, For this cause, I have raised you up Pharaoh, to show in you My power, and that My Name may be declared throughout all the earth. Exodus 9.16. Then GOD sent locusts, grasshoppers that covered all Egypt that one was not able to see the earth. And they ate everything in sight. Following that, The LORD brought another wonder upon Egypt. Darkness, darkness that could be felt. And The Bible says, The LORD went into the midst of Egypt around midnight, and killed the firstborn Egyptians, the firstborn of Pharaoh, the firstborn of the Egyptian servants, and the firstborn of the Egyptian animals. But, not one plague touched the children of Israel. And Pharaoh rose up in the night, he and all his servants, and all the Egyptians, and there was a great cry in Egypt, for there was not an Egyptian house where there was not one dead. And Pharaoh called for Moses and Aaron by night, and said to them, rise up and go from among My people, both you and the children of Israel, and go serve The LORD as you have said. And just as The LORD has spoken, Pharaoh will not let you go, except by a Mighty Hand. That Mighty Hand of GOD had arrived. Forty years after that great deliverance, The LORD GOD of Israel brought His people into the land of Canaan which GOD renamed Erets Y’Israel, The Land of Israel. But not without many fights, and wars, and trials. Thus Israel, the Jewish People have been in their GOD-given land for some 3,342 years, the land that GOD promosed to the Jewish people for an everlasting possession, Genesis 17.8, etc., Not without fights, wars, trials, and exiles. ASHAMED – BOOSH – Disappointed and confused. Then The LORD of Hosts, Yeshua The Messiah will return and reign in Jerusalem and set up and establish The Messianic Kingdom for 1,000 years. And after the 1,000 years are finished, the family of GOD will enter into New Jerusalem which is the new earth and heaven forever where there will be no more tears or death, or sorrow, or crying, or pain. Grief and hardship will have passed, and the streets will be pure gold as transparent glass. But before this, The Bible tells us that at some future time, over a 3 1/2 year period, The GOD of Israel will bring this world to an end, as we just read, with plagues and cataclysmic events. Disasters that will send chills up you spine. But as The LORD GOD did for His people, the children of Israel during the time of the 10 plagues in Egypt, keeping them safe from harm, The LORD your GOD will do the same for you, His people because you believe in the Jewish Messiah Yeshua, Who is The GOD of Israel. And you keep His Laws, The Law of Moses, and you obey His ordinances that are His Commandments, His Law of Moses, and His Festivals. And you keep His everlasting Covenants which is The Word of GOD, and His Law, The Law of Moses. The 3 1/2 year tribulation of plagues, wonders, and disasters is written in a number of Scriptures, but Daniel 9.27 comes to mind. “He” is the anti-Christ. The anti-Christ is satan’s man who claims Christ but disobeys GOD, His Law of Moses, His Commandments, and His Festivals, and The Word of GOD. And he will make a strong covenant, or a mighty peace treaty with many for seven years or one week. One week in Hebrew is Shavuah Ehkhad meaning a week of years, or seven years. I believe the peace treaty of seven years that anti-Christ will make will be with Israel and the Palestinians where the Palestinian Arabs will get a state within the Jewish homeland Israel, and the Jewish people will be granted permission to build their Temple in Jerusalem, and once again, establish the sacrifice. And in the midst of the week, or after 3 1/2 years of peace, anti-Christ, satan’s man, will cause the sacrifice to end. And for the overspreading of abominations, meaning anti-Christ will set up his idols in the Temple. So this guy anti-Christ will be of a religion that has idols in their houses of worship. He shall make it desolate. anti-Christ, with his idols in the Temple, will make it desolate. satan’s man will ruin it, and GOD will destroy the Temple, and lay it waste. Even until the consumation, and that determined shall be poured upon the desolate. That is, GOD will destroy the anti-Christ. GOD has determined it. And GOD will pour out His wrath upon the desolate throughout the earth. Those whom GOD says in Isaiah 24.4 have transgressed The Laws, changed The Ordinance, GOD’s Commandments, His Law of Moses, and His Festivals, and broken the Everlasting Covenant, The Word of GOD, and The Law of Moses. Those that have freely violated GOD’s Law. the 3 1/2 year tribulation is finished, GOD, The Messiah Yeshua will call us up to meet Him in the air at His return. The dead in Messiah will go up first, then those who are alive in Yeshua will also go up and meet The LORD in the air. And the road to the 1,000 year Millennium will have arrived. The plagues and destruction that will take place during the 3 1/2 year tribulation before The LORD returns will devour the earth, the people will be burned, and few will be left outside of Israel. But those who fear The LORD will be saved. Fearing GOD brings obedience to His Word. Here are some of the plagues that GOD will rain upon the earth because the people disobey GOD. And I believe, these events will take place during the 3 1/2 year tribulation. I see the One sitting on a white horse to be The Messiah Yeshua Who will go forth conquering and to conquer. REVELATION 6.3-4 The 2nd seal. GOD will take peace from the earth. All power is from GOD. And all miracles are from The LORD. And He gives that power to whomsoever He will for His purpose. And people will kill one another. REVELATION 6.5-6 The 3rd seal. A pair of balances are two scales. I believe we are looking at a period during the 3 1/2 year tribulation of great economic hardship, a severe depression. The oil and the wine may be the true Believers in Messiah, perhaps. REVELATION 6.7-8 The 4th seal. This seems to me to be the results of war which brings with it death, killing and hunger. We see much of that today throughout the world, but it will be a whole lot worse during the 3 1/2 year tribulattion. REVELATION 6.9-11 People will be killed for The Word of GOD, and Yeshua is The Word of GOD because He is GOD. John 1.1. They will be killed for their testimony, their witness of their life in The LORD. But GOD will bring those people to Heaven. That is the 5th seal. REVELATION 6.12-17 The 6th seal. There will be an incredibly great earthquake, and the sun will become black as sackcloth of hair, and the moon will become as blood, and the stars of Heaven will fall to the earth, and the Heaven, that is the sky, will depart like a scroll being rolled up. I believe the central message of The Bible from Genesis through Revelation is obedience. Obedience to GOD. Every Word He speaks. And by obeying The LORD GOD, we receive His Messiah Yeshua Who Himself is GOD. The Son of GOD is GOD. Isaiah 9.6(5), Micah 5.2(1). And we do what He commands us to do. Obey His every Word, obey His Law, His Law of Moses, and love Him with all our heart. That is the True Gospel. That is Eternal Life.